During the National Football Conference championship game between the Denver Broncos and the New England Patriots, I googled "Why does Peyton Manning say Omaha?" During that game, which quarterback Manning's team won, he yelled "Omaha" more than 50 times before taking a snap from the center to begin a play. I was surprised to find that every reporter who weighed in on this word cared only about what Manning means when he shouts it, not why he chose it. We writers are always interested in why someone chooses one word over another. What I wanted to know is why he chose Omaha and not Cherokee, radio, pussycat, or any other word. Of course, everything a quarterback says when calling signals at the line of scrimmage is meant to deceive the opposing team. So why would Manning tell us why he says it? That leaves me with the more interesting question, at least for me, of why he, and his arch rival Tom Brady before him, chose Omaha. The name Omaha is rich in American history. The American native Omaha people come to mind. Their tribe lost much of its land illegally in the nineteenth century during the Western expansion of the United States. We also associate the word with the code name Omaha Beach used by US forces on D-Day, June 6, 1944, when they assaulted beachheads in Normandy, France, resulting in the loss of many American and German lives. 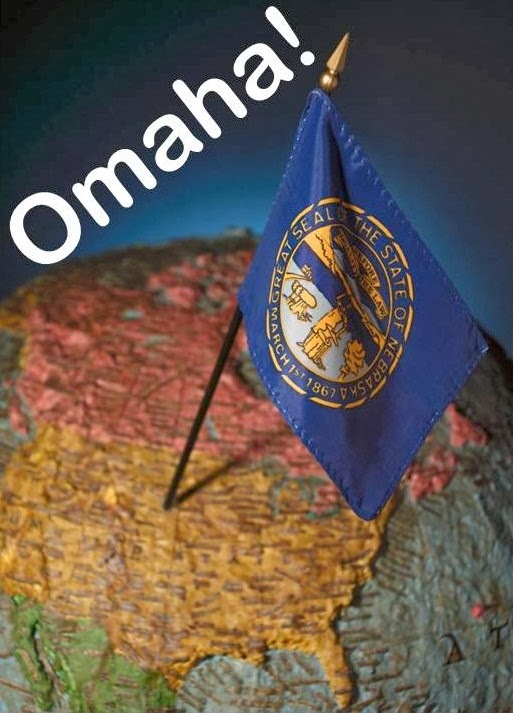 So did Manning choose Omaha because of the purely American or military imagery it conjures? For that matter, did he really think as much about the word as I have? The Manning play call has certainly started a craze. Some companies with Omaha in their name are donating $500 to Manning's philanthropic foundation for every time he says the word in a game. The city of Omaha, Nebraska, keeps coming up with ways to capitalize on the welcomed attention it is getting as well. All things Omaha want to sign Manning to endorsement deals. Anyway, you can enjoy the Super Bowl not only by keeping score of the game but by counting Manning's Omahas. 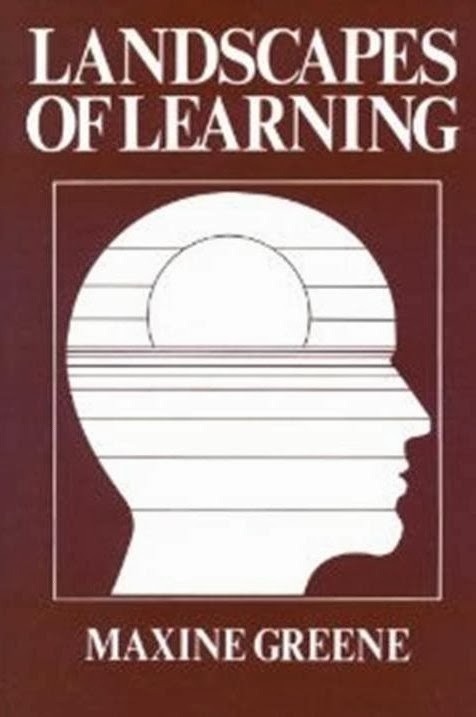 We have to read in a state of wide-awakeness, to use a term popularized by educational philosopher Maxine Greene. By wide-awakeness she means personal reflection, judging carefully and not accepting premises, methods, and results at face value. This idea so also applies to writing, which isn’t only about sentence fluency and grammatical correctness. It’s more importantly about objective analysis and sound thinking, and some of the most respected publications make serious blunders in these areas. Case in point: The New York Times on January 23, 2014, printed an article about JPMorgan Chase Chairman and CEO Jamie Dimon getting a raise. Two flaws immediately surface in the article. Before mentioning them, I want to make clear that I am not taking sides with the man or the company. I am interested only in an equitable handling of facts regardless of the subject. The first occurs in the title: "Fined Billions, JPMorgan Chase Will Give Dimon a Raise." The article presumes to be a hard news story, which calls for an objective style. Yet it spews its opinion before the first sentence. Most semiconscious readers will have already formed an opinion of the company and its leader just from that headline. Even though the fines did occur under Mr. Dimon's watch, this rhetorical strategy is unfair. It is also true that the company's stock rose 22% in the past 12 months, so why didn't the headline read "A Year after Excellent Returns, JPMorgan Chase Will Give Dimon a Raise"? The answer must be that the newspaper has an ax to grind against the company and its leader. So much for objective analysis. An unbiased headline would have dropped the first two words. The second error arises toward the end of the article, which describes confrontational meetings pitting a minority of board members against giving Dimon the raise with a majority of board members in favor. The authors write, "During the meetings, some board members left the conference room to pace up and down the 50th floor corridor." Where's the sound reasoning here? Was the urge to pace the reason that they left the meeting? Did they simply want to vent? Were they satisfying a desire to get some exercise? Or were they pacing while talking to strategists on their mobile devices? Or trying to broker a deal with their adversaries? Instead of asserting that the board members had the intention of merely pacing a corridor, perhaps the reporters could have written, "During the meetings, some board members left the conference room, pacing up and down the 50th floor corridor, as they tried to reach an agreement." Better yet, the entire sentence could have been deleted. So if we have to read in a state of wide-awakeness, how much more so when we write. If you're going to spend a hundred bucks or more to go to the theater, something should happen to you. Maybe somebody should be asking some questions about your values or the way you think about things. And maybe you should come out of the theater (with) something having happened to you. Maybe you should be changing or thinking about changing. But if you just go there and the only thing you worry about is where you left the damn car, then you've wasted your hundred bucks. Albee knows what he's talking about. Not only because at age 85, he is an American icon with plays that have earned three Pulitzer Prizes, two Tony awards, three New York Drama Critics Circle awards, a Drama Desk award, and numerous citations for lifetime achievement in the theater. He is clearly the sage because his observation applies to so many other facets of life. For instance, if we paraphrase the opening of his quote with "If you're going to spend a hundred minutes or more to watch television," we would never spend a minute on reality TV. Or "If you're going to spend a few thousand bucks or more to vacation somewhere," we would choose a national park or foreign city over Disney World. I strongly believe what Albee says relates to my writing classes. In the closing of this interview excerpt, he suggests that answers are often unreachable, but this reality should never prevent us from asking hard questions and exploring possible answers. Sometimes people in my classes will want the right answer for what they should include in a proposal, how they should organize a report, or how they should phrase a sentence. I can offer possibilities, but I'd be a fool to claim I have a definitive answer. I meet a lot of course leaders who teach as though writing instruction were little more than a collection of rules in grammar, diction, and punctuation. Far from it. Even though these points do matter, they are less important than purposefulness, completeness, structure, and clarity. My goal is to help people think through writing: to question their own assertions, to test commonly held beliefs, and to challenge their audience to see the value of alternative ideas. As a result, they will become not only more accomplished as writers but more masterful as residents of Earth. When I impart this mindset, my time was well spent; when my students achieve it, their time was too. 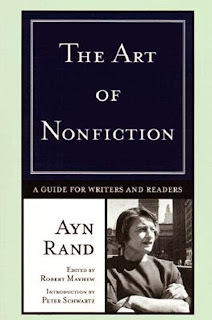 Developing writers and interested biographers should listen carefully when a celebrated author is talking about writing, and Ayn Rand’s The Art of Nonfiction is no exception. Talking about writing is the operative phrase here, as this book is actually a collection of recorded lectures from a course Rand led for friends and associates in 1969. But readers should not feel cheated. At age 64, Rand had written much, including all four of her novels, two of them, Atlas Shrugged and The Fountainhead, ranking at numbers 1 and 2 on the Reader’s List of 100 Best Novels of the Modern Library. She also created a dozen nonfiction books and essay collections, many plays and screenplays, and her own philosophical system, objectivism, which figures prominently in all her work. In any context, her ideas on the creative process are well worth a listen. The wisdom Rand gained from her writing experience is unique, and she evokes it engagingly. She begins with an encouraging premise: “Contrary to all schools of art and esthetics, writing is something one can learn. There is no mystery about it.” Her walk through the writing process may seem to take a traditional route at first glance, as she divides her topics among the usual chapters of creating an outline, writing the draft, and editing. Along the way, however, appears her uncompromising worldview. How else would a chapter “Applying Philosophy Without Preaching It” show up in such a discussion? Far from remaining on a purely philosophical plane, she systematically explains how her method works. Her chapter on editing tenders several practical tips, and her outlook on style is refreshing. “The first thing to remember about style is to forget it,” she writes, accepting that style is so difficult to learn and teach. This realization does not prevent her from dedicating a 40-page chapter to a discussion on how it emerges in several published passages. Understandably, readers might be put off by two problems in this book. Rand frequently references fiction to describe the task of an essayist, even though she sees significant differences between the two genres. Also, she constantly returns to her own fiction to illustrate examples of excellent writing during her talks. In Rand’s defense, during these lectures she was speaking to devotees, who benefited from references to her familiar prose. In addition, she did not intend to see these lectures in print. Even if she did, she had no hand in their print version, as it was edited by Robert Mayhew and published in 2001, nearly two decades after her death. Being above all else a logical and practical thinker, Rand likely would have changed some the illustrative texts to reach a wider audience if she wrote it herself. Those who are likely to pick up such a book will not be disappointed. A lot of gems are to be found within the 192 pages of The Art of Nonfiction. 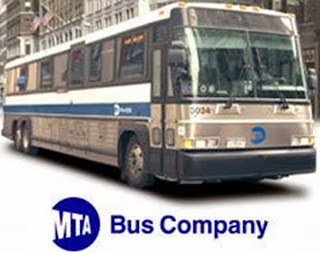 I celebrate the ninth anniversary of WORDS ON THE LINE with a gem from one of my writing students, Joseph N. Kennedy, Superintendent of MTA Bus Company's Queens North Road Operations, at the Casey Stengel Depot, Flushing New York. Joe, who attended a four-week writing class that I led for New York City Transit Department of Buses, was a great student. He is relentlessly good-humored in his comments, deeply committed to his job, appropriately opinionated during class discussions, and consistently correct during writing exercises. Most importantly, he is a solid guy: he is a man of his word. Since you folks are managing Buses. Cause when they're riding, they feel safe. So for all the great things you guys do. I wish a great 2014 to you. I figured it would be boring. And likely end up snoring. I related this to my wife Mary. And tried hard not to be late. when I arrived a little past eight. My writing skills are anointed. I owe it all to Phil Vassallo! Now if that's not a reason to go on teaching forever, I don't know what is. Joe closed his masterpiece by writing "My apologies to all poets past and present." The truth is that Joe did the poets proud. I told him that the student outdid the teacher. The first three stanzas of Joe's poem express the purpose, the fourth stanza states the value, and the last stanza asserts the commitment. It is a perfect acknowledgment, one that I will always remember. So if you want to write an acknowledgment, remember these elements and especially Joe's poem. Thanks, Joe. You are a class act.